ChainLink Research : Research :University Business Collaboration - The Future of Technology? University Business Collaboration - The Future of Technology? Smart phones, clean energy, energy independence, disruptive technologies, emerging markets, and the economic restructuring of the world - who will be the players in all that? Technology and economic change are driving our current reality. And who is leading those changes? Three major constituencies: society (with policy mandates and consumption), business, and the educational universe. Right now, business has a really bad rap, between BP, the banking system, and overall displacement in economic restructures. Society may ‘set the agenda,’ but the instruments of improving our future are the business and the educational worlds. There is nothing more exhilarating than watching a mind open up to a new idea, to see a new product get launched, to seeing an accomplishment of some kind—finishing a project, or seeing something that you did become useful to someone else. Mankind’s progress is based on this kind of kinetic experience. And right now, we have a lot of problems (when did mankind not?) that could use some inspired problem-solving. 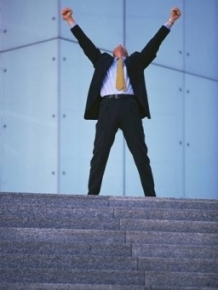 The blending of the business and educational communities can enable this very outcome. 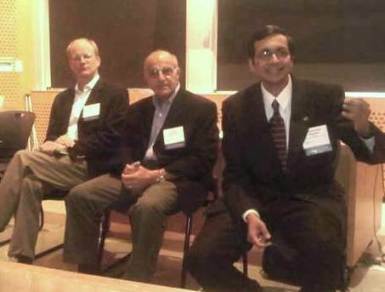 I recently attended an MIT event on the University – Industry Collaboration at which this very issue was discussed. Our moderator, a real statesman for the tech industry, Michael Ohanian, former President of Intermec Technologies, kicked off the session, providing some history on how research from various sources was adopted by business in order to create the bar-coding and EPC/RFID markets as we know them today. They engaged in discussions on how their schools were bringing along the next generation of thought and professionals, and the thorny tech problems they were working on. Steve Miles talked about some specific business, government and societal problems that the SENSEable lab was working on, and Ram Nagarajan spoke on the technology challenges associated with developing a new generation of technology. Nagarajan pointed out that many of the new technologies and material, such as nano, being pursued at the university level, will be manufactured with low labor costs relative to the COGS, thus reducing the drive to outsource to cheap labor markets. (Read What Does Fargo Have that You Don't?) He stressed the value of continued funding by government (the State of MA and US government are funding the nano research at his university) to create strategy technology, new businesses, and jobs. Kochakian, though an EE Professor, has brought together his RFID students with the business school students to go beyond the lab, to work on business problems that get solved through technology, preparing both business and tech school graduates for the real world environment. He stressed the need for the business community to get involved, to identify the problems, and challenge the students to work on the issues confronting society and business. Steve Miles provided some interesting examples of government mandates that went unfunded, thus reducing, potentially, our national security, but also the innovation required to secure our economy in the future. We all see great examples of what emerges from the partnerships between government/business/schools. 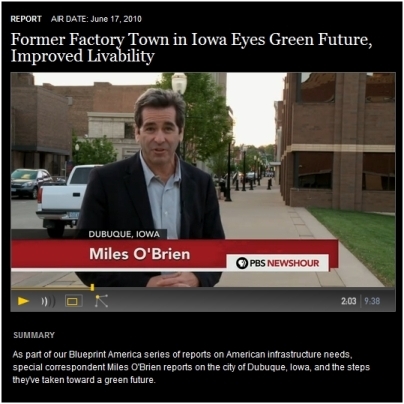 Miles O’Brien of PBS recently did a great report on Dubuque, Iowa, and the partnership between this small city, the federal government and industry, to become a smart city. What was interesting is the societal and economic impact. Young people were shown discussing staying in Dubuque instead of moving on, seeking a better job and social experience elsewhere. And IBM is moving in, to provide 1,300 jobs. In a recent post by Paul Krugman, he discusses a lost generation, and argues for more government involvement in solving the unemployment and economic malaise. He points out that, “employment gains... so far, have brought back fewer than 500,000 of the more than 8 million jobs lost in the wake of the financial crisis.” Renewing unemployment checks, though it helps people avoid foreclosing on their homes and applying for welfare, will not be enough. How come Korea can fund a $300M RFID research center? Why can China partner with the US on Clean Energy research? So, here is my thesis. If you thought we were masterful at all things engineering and tech, just look at the Gulf. Just look over your shoulder. Challenges abound that require us all to partner in our future. Therefore, let’s look at the collaboration and funding of our emerging and strategic technologies. The DOE is doing a lot to foster new ideas and new companies, by funding the launch of dozens of new companies to work on the renewable energy challenge. But where are the other techs? The other federal departments? Last I looked, DHS and others continue to grant their projects to the beltway mega-players, though there are some bright spots on young players (after a mega-endurance test beyond the Tour de France) in winning small awards. Clean energy and safety legislation abound. They will need research and partnerships with small (and large) businesses and communities to succeed and provide cost effective solutions to our current situation. Let’s partner, and let’s get started!